American trumpet player, born Aug 30, 1924 in Fairfield, USA, died Dec 5, 1972 in New York, USA. Lauded by critics & his peers, Dorham was one of the most active bebop trumpeters. He played in the big bands of Lionel Hampton, Billy Eckstine, Dizzy Gillespie, & Mercer Ellington & the quintet of Charlie Parker. He was a charter member of the original cooperative Jazz Messengers. He also recorded as a sideman with Thelonious Monk & Sonny Rollins, & he replaced Clifford Brown in the Max Roach Quintet. 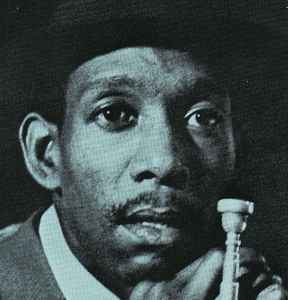 In addition he led his own groups., recording in 1956 as Kenny Dorham And The Jazz Prophets. In 1963 Dorham had Joe Henderson in his group, & the two collaborated much throughout the decade. At age 48, kidney disease resulted in his passing.